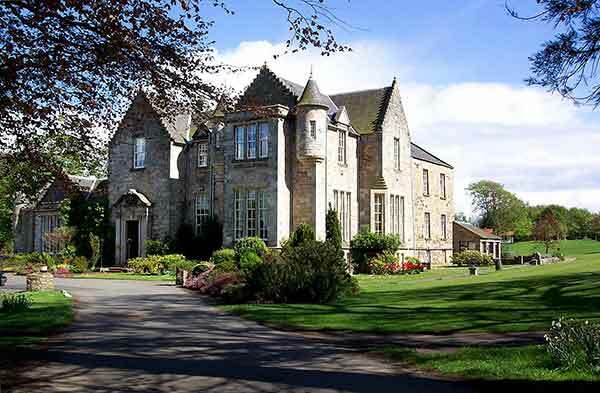 Kilconquhar Castle Estate is a stunning family holiday resort set in the East Neuk of Fife, Scotland, only a 15 minute drive from St Andrews or a 5 minute drive from the sandy beaches of Elie . We offer over 60 self-catering properties ranging from 4 star castle suites, cottages and family villas available for short breaks to weekly rentals. The estate also boasts 7, 3 star bed and breakfast rooms, which are perfect if you are looking for a mini break for 2. The estate is perfectly situated for visitors from Edinburgh, Glasgow, Aberdeen, Newcastle and the North of England wishing to visit the surrounding villages of Elie, Pittenweem, Anstruther, Crail and of course St Andrews. With a fantastic bus and rail service if you are planning your break to tour around Scotland the estate also offers a range of tours to Edinburgh and Inverness. Around the estate you will find a full equipped leisure centre which includes a swimming pool, snooker tables, table tennis, fully equipped gymnasium, saunas, under fives play room and teenagers lounge area. The grounds also boast putting greens, a driving range, tennis courts and a children’s play park. All of these great leisure activities are free to use for our on-site guests. We also offer a fully equipped equestrian centre and in house aromatherapist as additional services for you to enjoy during your stay.